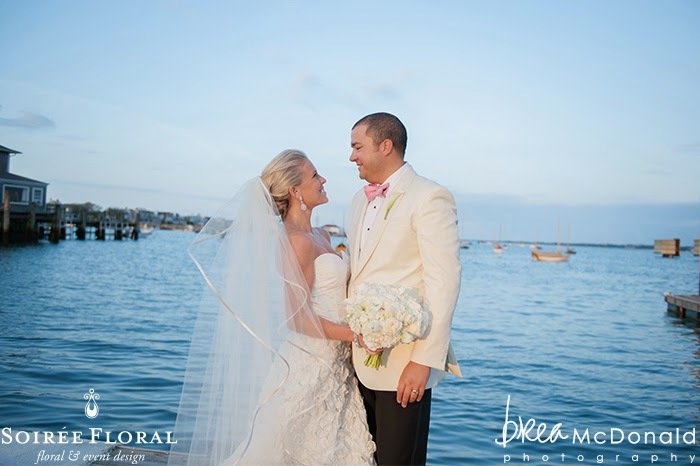 This Nantucket Yacht Club wedding is one near and dear to our hearts for so many reasons - the bride loved lush blooms that made a statement (and wore a spectacular gown!) and they're just the sweetest couple from the two of the sweetest families we've had the pleasure of working with! 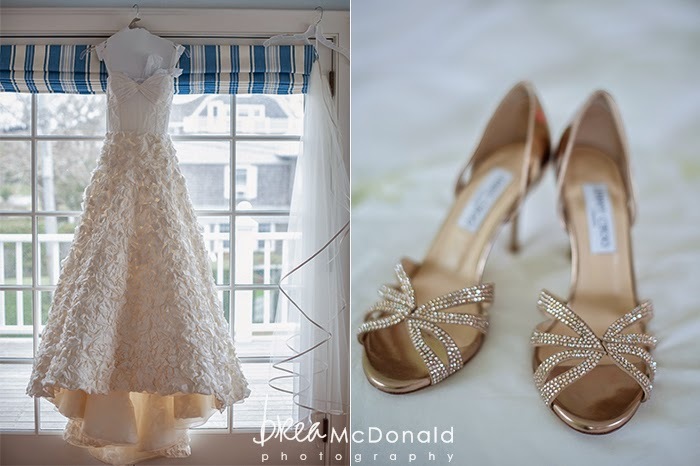 Today their Nantucket wedding is being featured on Town & Country Weddings online! We're so excited and finding it hard to expressed how honored we are! We worked with an amazing team of wedding vendors - it was a dream come true for us! 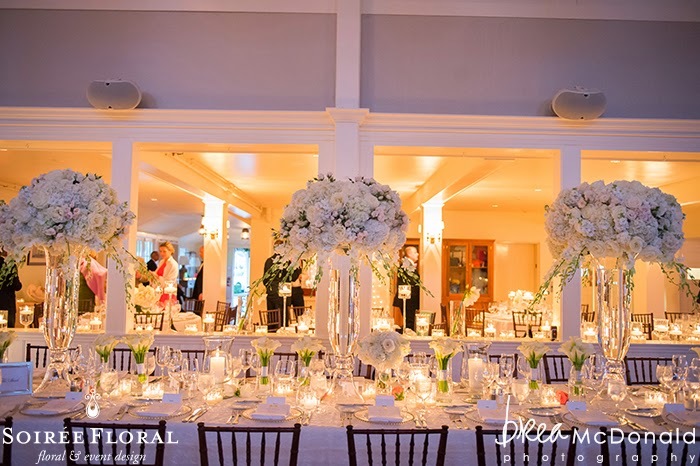 As a designer, I love to see the details of a couple's wedding day come together after months of planning, pinning and fine tuning the aestethic, style and color palette of an event. Pinterest is a sea of ideas but it's such an amazing help when working with our brides - it brings us a little closer during the planning and concept stages of designing their destination wedding. You can take a peek at this gorgeous all-white wedding shot by the talented Brea McDonald over on Town & Country's website and you can watch their amazing wedding film by Meg Simone, here.